The legal team at Joe Horrox Law fights diligently for the injured and their loved ones. Serving people throughout the state of Florida and the St. Augustine region, we focus on just compensation and just resolutions to cases in which people are serious harmed as a result of negligence. Legal help is crucial for lawsuits over truck accidents, particularly given the nature of these collisions and the injuries that may occur. Among the most serious kinds of truck accidents are jackknife truck accidents, which we'd like to consider right now. A jackknife truck accident occurs when the trailer attached to a large truck veers to the side and folds inward. If you picture a pocket knife being folded, this helps you visualize the nature of a jackknife truck accident. Given the nature of the large truck, its weight, and the force created should the trailer attached slam into an object, it should come as no surprise that jackknife truck accidents can be extremely dangerous and even deadly. The most common causes of jackknife truck accidents are improper braking technique by the driver, icy or slippery roads, equipment failure of the vehicle, or a combination of the various causes above. If a truck driver is unable to stop the vehicle, jackknifing may be done as a last resort to slow the vehicle down and stop it. With the trailer veering off to one side of the truck itself, there is a high likelihood that nearby vehicles in adjacent lanes will be swept and struck by the trailer. This can lead to a chain reaction, pushing vehicles into other adjacent lanes and causing those vehicles to strike others in the process. In addition, vehicles behind the large truck and trailer may collide with the large truck or with vehicles ahead of them. Ultimately, the chances of a serious collision are much higher when a jackknife truck accident happens. As noted above, the trailer generates tremendous force when it collides with other objects given its mass. Nearby vehicle may be crushed or struck extremely hard by the trailer in such instances. Because of this, the chances of severe injuries and fatal injuries rise considerably. The same could be said with regard to the greater likelihood of a multi-car pile-up that occurs as a result of a jackknife accident. If you or someone that you love has been injured in a jackknife truck accident, it's extremely important that you get the legal help that you need. By speaking with a personal injury attorney who is well-versed in auto accident law, you will have a strong advocate on your side who will take truck drivers and trucking companies to task for their negligence. We are here for you. 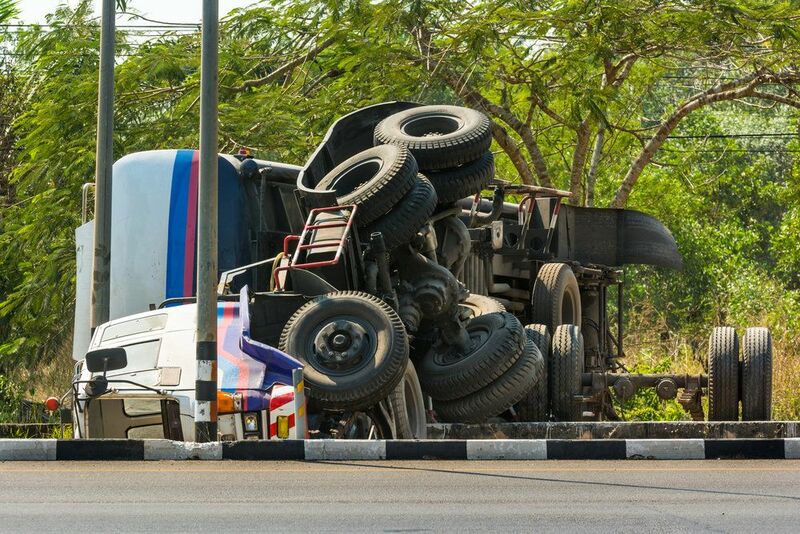 For more information about your legal rights and options following a major truck accident, it's important that you contact our personal injury law firm today. The team here at Joe Horrox Law will work closely with you during each phase of the legal process, seeking a successful resolution.